Posted on 9th October 2018 at 8:59 am. The course content and the facilities that the college provides. The quality and knowledge of the tutors. I would like to be a Cisco network engineer servicing their networks. After finishing my second year on this course, I hope to go to university. It will provide me with the key skills I require for my future career. Prepare yourself for some hard work but the rewards are worth it. 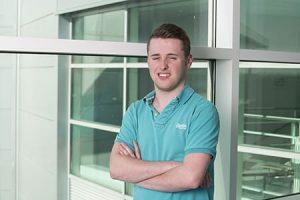 After completing the Foundation Degree in Computing (Networking) in 2015, Lewis continued his studies at Teesside University and gained a BSc in Computing. Lewis currently works for SPA ICT Service Ltd. as a Site Technician covering tasks such as cybersecurity, remote support, network systems set up, and Office 365 administration.